Going out with friends for a leisurely coffee is a part of life in Greece. While it’s a lovely aspect of Athenian culture, if you want to sit inside during the cooler months you can end up stinking like an ashtray. It doesn’t have to be that way! 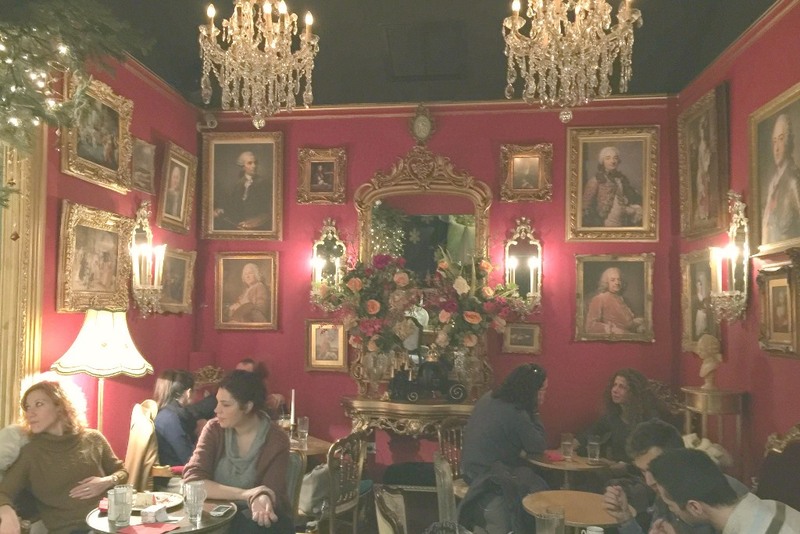 Here’s my list of scenic and smoke free indoor cafes in Athens – lately. I say lately because things are changing. Smoke Free Cafes in Athens? I love how you get a little biskotaki with your Greek coffee sometimes. ❤️☕️ New blog post on the scenic smoke free cafes in the heart of Athens. For those who aren’t familiar with smoking habits in this part of the world, smoking is still a thing here — a widely accepted habit. So, it isn’t a big shock to enter an indoor cafe, restaurant or tavern with most of the customers lighting up freely. It can be bothersome for non-smokers during the two or three winter months when its preferable to sit inside. Other times of the year, the weather is pretty lovely and its nice to be outdoors. Venues are typically designed to take advantage of Mediterranean weather, sea views and city views. Here’s how things are changing. When I first arrived in Greece seven years ago, you couldn’t find one smoke free café if you wanted to enjoy your warm drink indoors and sheltered from the elements. Since then, laws have been passed and it’s illegal to smoke inside of most places. However, as some things in Greece go, laws aren’t always followed. Whether or not a café follows a smoke free policy depends on the proprietor many times. So, now that cooler days are upon us, sitting indoors for a nice coffee doesn’t mean you need to cope with cigarette smoke blowing in your face. Here are some beautiful smoke free cafes in Athens. 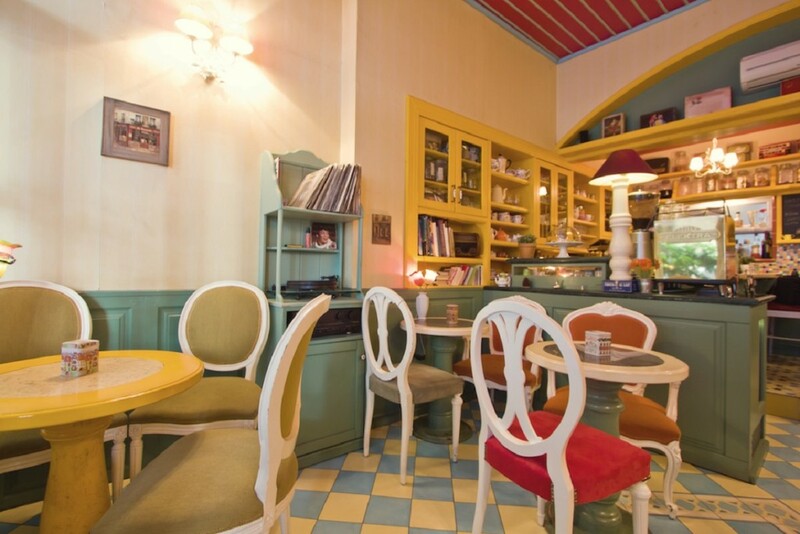 Step into a story book at this beautiful indoor café. The new venue is decorated to the nines for Christmas. You can sit under a huge Christmas tree and sip your tea! Everything inside Little Kook follows a story book theme. The waitresses and waiters even dress the part of various fairy tale characters. The menu is a scroll! 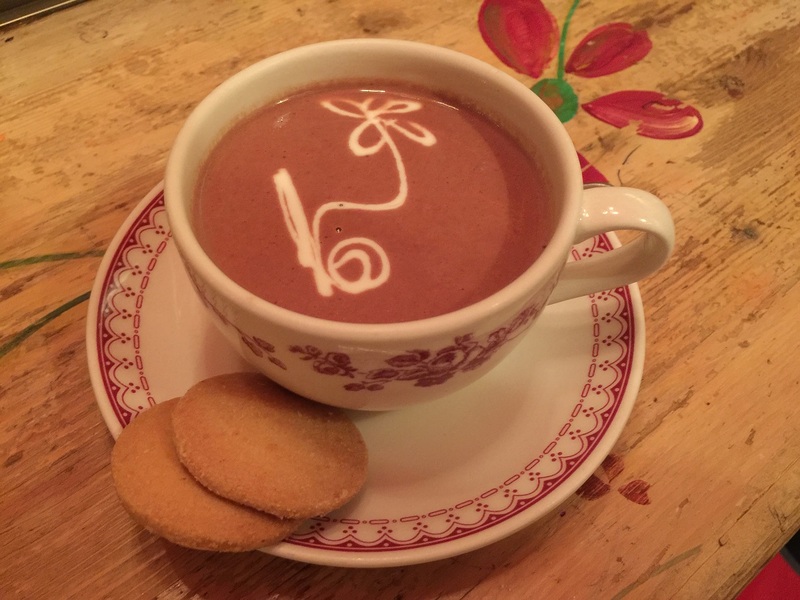 There’s an ample selection of gourmet hot chocolates, coffees, teas and sweets like cake and crepes. Check out the second floor, too. The café’s décor will have your eyes wandering! Petit Fleur is simply charming. The décor is cozy, warm and bright. The one I frequent, when I can, is in Kolonaki. I say that because there aren’t many indoor tables at the Kolonaki venue, our outdoor seating for that matter, so many times I’ve had to move on. 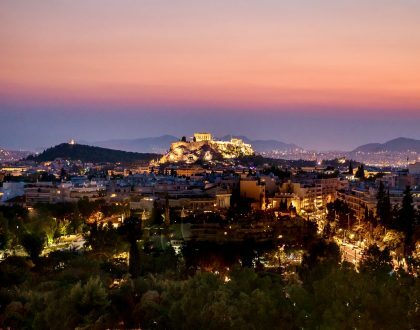 There are several other locations throughout Athens including Halandri, Erithrea, Kifisia and Pangrati. The large, thick and delicious hot chocolates are definitely worth trying. The carrot cake is super. Photo courtesy of Petit Fleur. Hot chocolate at Petit Fleur Kolonaki. I love Cake because the cafe makes cake just the way I love it – American style. Greek bakery cakes are delicious too, don’t get me wrong. The Greek version is typically like a cream cake, very rich and, well, super creamy. It’s always nice to know there’s a place in town where I can dig into a thick piece of moist and fluffy cake in the flavors I love. There are cute tiny cupcakes, regular cupcakes with thick sugary icing and you can even order from savory quiches. I pre-ordered my red velvet chocolate birthday cake here last year. 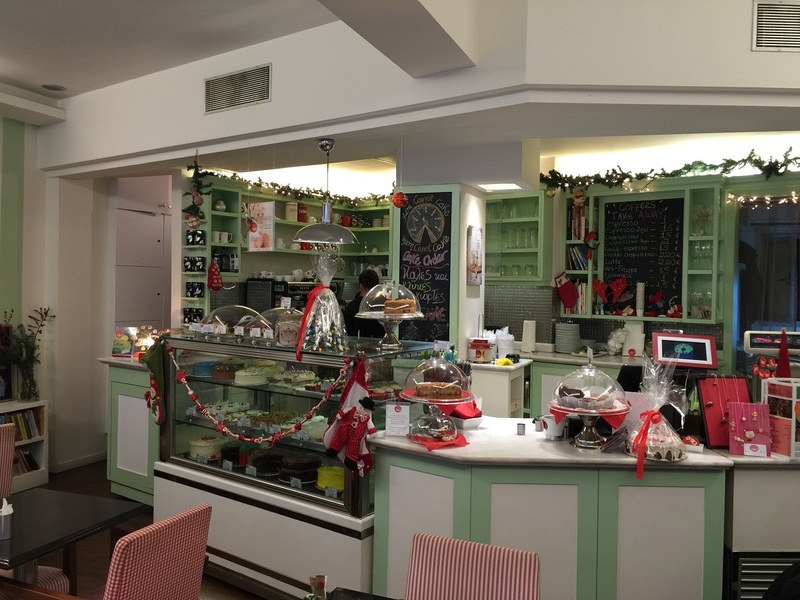 Cake has grown to several locations in Athens including Glyfada, Nea Smyrni and Kifisia. 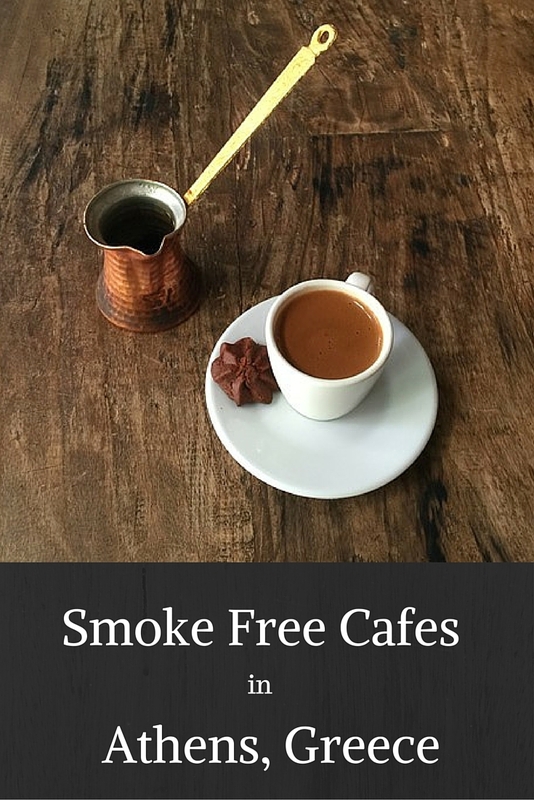 Looking for smoke free cafes in Athens? Try Cake in Kolonaki. 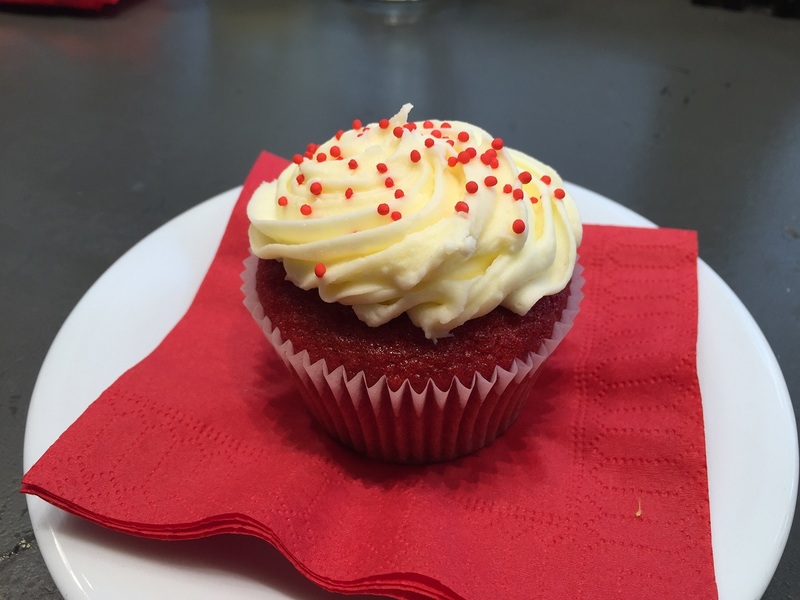 Eat your red velvet cupcake at Cake in a smoke free environment. This tiny café specializes in, well, chocolate! I seriously had the best cup of hot chocolate here recently. I tried the Madagascar blend. If you prefer your coffee, there is a selection of coffee as well. The Dark Side also sells handmade truffles and beautifully boxed chocolates. There are just a few tables inside that look out onto a view of Solonos Street. The interior is plain, simple, relaxing and quiet. Smoke free cafes in Athens include Dark Side of Chocolate. Located in the heart of the National Gardens next to the stately neoclassical Zappeio landmark, you’ll find Aegli Cafe. There are dozens of tables both inside and outside. I think it’s really much nicer to sit outside in the open café space where you can have a view of the park or Mt. Lycabettus hill. There are also some outdoor heated spaces. However, if the weather is too cold for you, the inside space is wonderfully smoke free! There’s a large menu of snacks, sweets and all the typical coffees and teas you desire. Take a walk around the beautiful park afterwards. The outdoor cinema is a favorite in the summer months. On the top floor of Public you’ll find a smoke free haven to enjoy your cup of coffee and a great view of the city’s main square and historic Greek parliament building. Public Cafe’s outdoor balcony seats are the best. However, if the weather is too chilly the indoor portion of the café, with its windows looking out onto the view, is perfect too! There are couches and a bar-like area as well. The menu has snacks, sandwiches, pasta and salads. Many people just go for coffee, tea and a good piece of cake. 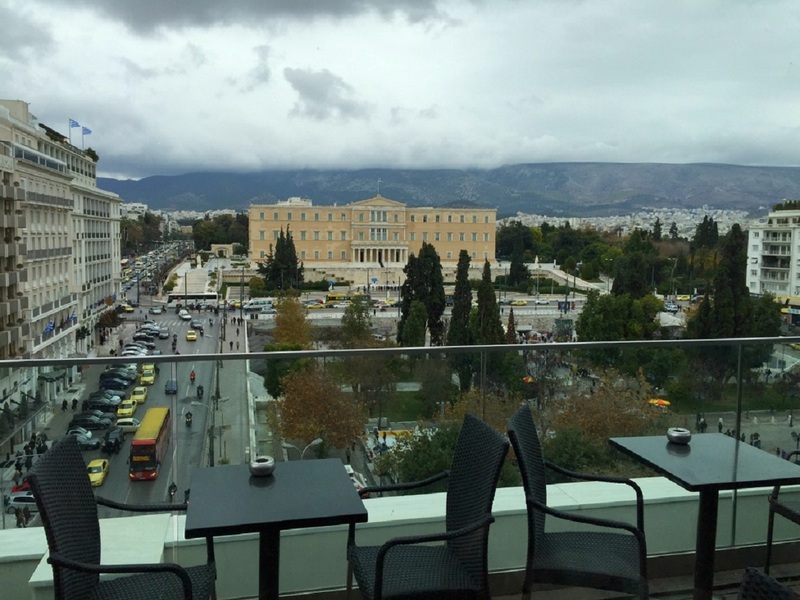 Scenic and rainy day view from Public in Syntagma. 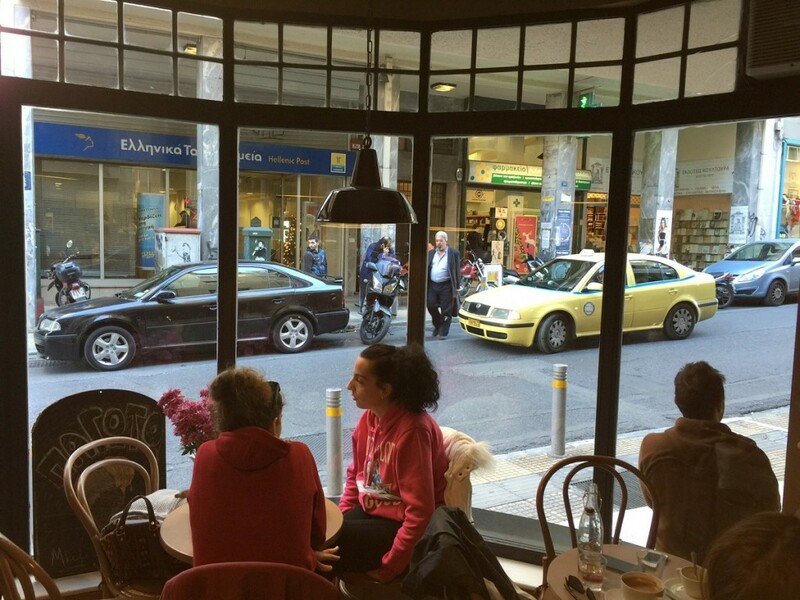 What’s always a safe and smoke free place for a good coffee in Athens? Good ‘ol Starbucks. In the center, I frequent Starbucks Kolonaki on Patriarchou Ioakim, Starbucks Monastiraki on Mitropoleos and Aiolou and Starbucks Korai (next to Panepistimeio metro). Okay, Starbucks is a coffee chain, but it a good one you can count on for a smoke free environment. 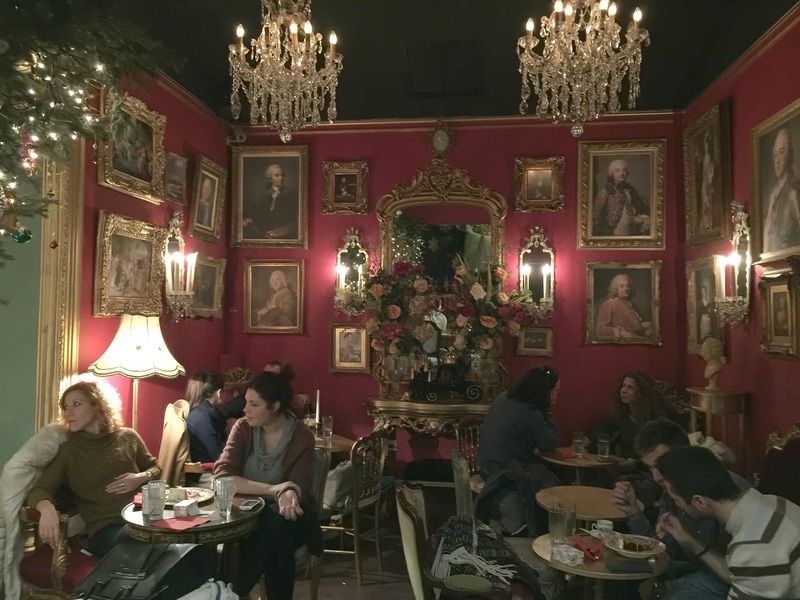 As time goes on and Greece tourism grows, there are bound to be more great cafes to add to this list. Are there any smoke free cafes in Athens that you love? I’d love to know! This is a great post – thanks for sharing! It is so hard to find smoke free places in Greece, and it’s a pain when all you want to do is sit and enjoy your friends’ company and coffee and not come out with your clothes and hair smelling, or your eyes watering because of someone else’s pre-disposition to flouting the laws! Thanks for this – I shall be sure to pay them a visit. Thanks, Rebecca! Yes, I agree. I hope to find more. A second list would be great to do now that things are changing. It’s the business owner’s right to decide business rules that match his/her business, not yours or the law. Open your own shop, ban patrons, enjoy your peace. Hi Liberty, Thanks for your input and for stopping by. Flouting the laws! As a smoker I sympathise with your situation. However the law is unfair and socially divisive, turning a section of society into priors for simply using a legal product and exercising their freedom of choice. In most cases smokers have to rely on web sites that point them to outlets that provide comfortable facilities. The situation is unfair to both parties. One section of society is not more equal to another. The outlet is the owner and the owner has the sovereignty to decide what clientele they wish to serve. You can then find your favourite place and I can mine. Then we both live happily ever after. It’s called a tolerant inclusive society. Not one that looks down its nose at another and socially excludes them based on a cosmetic. All would be fine if smokers would just keep all the harmful smoke and its offensive smell to themselves. ….. and you of course Mike would be a person that avoids all traffic fumes so as not to inhale even the tiniest wisp deadly fumes-which do happen to have been proven to kill a human being….. so far SHS hasn’t! Just try to avoid traffic fumes and pollution in Athens. Laughable when you think about how some people are intolerant to tobacco smoke yet will get lung fulls of smog air anywhere they go in Athens. LOL. They even had to protect the monuments from being eroded by pollution yet people are asking for smoke-free places. Hilarious. Hi Mike, Thanks for stopping by. Yes, for many people smoke is offensive and can be quite unbearable in an enclosed space. Flouting the law Rebecca? It was a very badly implemented law in the first place that was totally discriminatory. I’ll bet you wouldn’t have liked it if all governments banned NON smokers from entrering pubs, clubs & cafes because their sweaty bodies annoyed non sweaty customers! I don’t smoke but having seen the carnage caused by these vindictive bans I can honestly say that this ;law was wrong! It should always have been the proprietors freedom of choice to allow smoking or not! Customers have always had freedom of choice-business owners don’t anymore yet they are the ones paying exhorbitant rents & rates to local councils, hence governments! Point of clarification — does the law actually ban smokers from entering pubs, clubs and cafes, or does it just say they’re now allowed to smoke in those venues? Smoking is inherent to a smoker’s relaxation and entertainment. Banning this important part of a person’s enjoyment is like banning them from having fun. It’s like saying it’s fine that you drink but please step outside every time you want a sip. Would it be worthwhile for a person who enjoys a drink with their meal to entertain in a place where drinking is forbidden? Thanks for pointing these out to me so I make sure not to visit them. One thing I love about Greeks is how they have a mind of their own. I hope nothing changes siga siga. Thanks for the list. I will avoid these locations. A happy smoker and vaper. Greece is so civilized. Accommodating everybody. You like smoke, go to smoking places, you don’t like smoke you go to non-smoking places. I hope it’s not 2,000 years before the rest of the world grows up too. Hi Steve, Thanks for your comments and for stopping by. I don’t agree but to each his own. All the best. There is a law that is forbidden to smoke in cafes and bars, like in 90% of European countries. The list is simply to show which owners ones respect the law and which do not. I am a smoker myself but absolutely hate when people smoke inside, especially in poor ventilated spaces. Why cant people just get outside to smoke??? its even nicer, you get some fresh air, sometimes even meet people after asking for a lighter:))) Btw, when we go out we only choose places from this list: http://forum.nosmoke.gr/entertainment/list . Thanks for these recomendations also! Why don’t you suggest goiung outside for a cigarette to the nurses & barstaff that have been badly assaulted or raped because they HAD TO GO OUTSIDE to enjoy a cigarette? Why don’t you suggest your idea to the 2 bouncers who were shot because an irate smoker objected to being treated like sh*t? Why not suggest your outdoor ideas to the families of the bar owners who committed suicide rather than face the humiliation of their businesses failing courtesy of this intolerant law? And, while you are at it, why don’t you ask the World Health Organisatioin just how many lives this idiotic, intolerant law has actually saved or deaths prevented-actual fugures, not their usual estimations. I’ll await your precise figures etc. People have a duty to disobey bad laws. Martin Luther King. Akvile. It sounds like you want the inside when you want it and the outside when you want it. Like you are the most importent citizen in town. Hi Evita, thanks so much for your input! Sorry for the late reply… Just saw I didn’t answer now. Love that area of Plaka. I think it’s good to have places without smoking. I don’t mind smoking environments, in fact I frequent plenty of places where smoking is allowed. But some days when my asthma is particularly bad or my eyes are bloodshot from being in a smokey environment the day before, it’s nice to have the option of a smoke-free place. The idea of passive smoking is a little worrying. However, having grown up in a smoke-filled home, I’m used to the burning eyes and back of the throat it provides. Thank god it’s not the smell of cannabis smoke, I hate that. I think smokers should be encouraged to smoke near doors and windows as a badly ventilated cafe can sometimes cut my night short because my lungs don’t cope, which is a shame for me really. I sit outside whenever possible to avoid smoke. It is a difficult issue, but equally, to people being rather extreme about smokers being unsafe outside the door of a place. Perhaps if this thought plagues them so much, they’ll hold off on their cigarette until they leave the cafe…oh no, an hour or two without a cigarette…how will they cope? It’s simple why this law was put into place. Smoking is a habit that has a negative impact on not just the person doing it (I don’t care what it does to them) but the other people in the room who do not smoke. And since neither person has more right to be there than another you will get people with polarized opinions. 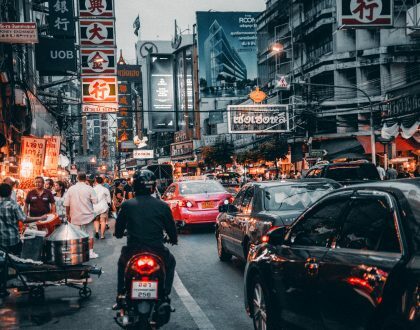 This is a very useful list of places and I can’t wait to go and check them out. Thanks! Hi Eftichia, Thanks for stopping by and your thoughtful comments. Sorry for the late reply. I realized just now that I didn’t get a chance to respond immediately. some great suggestions Marissa. My only objection is to Cake….not that keen on it anymore….the cakes are a bit passed it….. And its so difficult to find somewhere that is smoking free in Athens…. Hi Katilena, Thanks for stopping by and for your comments! Sorry to hear the Cake experience wasn’t up to par for you. Glad you found the article useful. Hi Dave, Thanks for stopping by and for the comments! Yes, he he. I think the list will be useful for those who want a choice of an indoor smoke-free environment in Athens. Happy Holidays! Hi Marissa. Judging from the way you’re only thanking the people who agree with you, I take it opposing opinions are not welcome or appreciated in this forum? Hello Cyzane, First of all thanks for visiting my blog and commenting. I do appreciate all comments and it doesn’t matter whether or not I agree with them. That is why I approve them all to be posted for the public to see. However, my post is merely meant to suggest cafes that have a no indoor smoking policy. This advice is useful for those who do not want to be in an enclosed space where people are smoking freely. I figured this was obvious. I know it is a hot debate issue and I realize that in Greece, there are social, cultural and political reasons this law isn’t followed. However, my blog post is just meant to inform and not to debate. I won’t be debating with y’all! But, thanks for the input either way. Thanks for replying. Yes the purpose of your post is quite obvious. What is less obvious is why you were only thanking people who are intolerant to smoke for visiting your blog. I still don’t get it. But it doesn’t matter. Your blog, your privilege to address anyone you feel like addressing. No different than how it should work in business. Their business, their privilege who they want to serve without the state making the rules mandatory. When the state gives people free rein to be intolerant of another by passing laws, it is surprising just how easy they find justification to loath and look down their nose at others. It indicates just how far we have come since 1933…..NOT. We must all co-exists and find accomodation for all and everyone. I don’t hear that coming from non-smokers. They just consider themselves as the chosen ones and others as beneath them. Less worthy…and this coming from the cradle of democracy. Get some rest, Dave, you’re fretting a tad too much. ‘Cradle of democracy’ = automatic fail. And what the hell happened in 1933 anyway? Well, anywya, at least you exhibit iota one of self-awareness, unlike Cyzane, who adores being disagreeable so much s/he has to ask if it’s unwelcome. In 1933 a man banned smoking in all public buildings in the country he was running. He banned all civil servants, office staff and Military Generals working for him from smoking. He used “second hand smoke” as an excuse that it was undermining the Master Race. He then went on to ban certain types of people he thought were sub-human so he had them killed. He ended up shooting himself in a bunker in 1945. Any civilized society looks for solutions to a social issue, you ban nothing as nothing that has ever been banned has ever worked. History tells us you cannot have one section of society walking around as they and they alone are more worthy than anyone else just because they obey unjust segration laws. Solutions are out there, it’s only the intolerant who wish to ignor them on a quest for purity. There is no such thing. There is as much science out there to disprove as there is to prove the issue of smoking, its just who you wish to believe. Which one suits you prejudice. Germany, Holland, Spain, Austria and Portugal all have very different laws on this subject and enforce them in very different ways so it is inaccurate to state that 90% of the rest of Europe have banned smoking inside. This subject is one for the owner to decide on not the State. Customer sovereignty and free trade. Hi H, Thanks for commenting. Sorry for the late reply. Just realized I didn’t see your comment hear. Appreciate it! When you are a smoker, someone sitting next to you not smoking doesn’t bother you. Unfortunately it doesn’t work the other way around! So the best way to coexist is to have different places for different people. Congratulations Alex, from one non smoker to (I assume) another non smoker! There is no need for all this hatred caused by one poorly implemented law as the law should simply leave the choice to the proprietors of each cafe/diner/pub/club/bar and then we wouldn’t have all this moaning & intolerance from my fellow non smokers against those who simply wish to exercise their freedom of choice to smoke. It’s so simple! Good point, Alex. Thanks for commenting and visiting my blog. Just around the corner from the M&S on Ermou, at Fokionos 4, Athens, is CHEMIN. A small café with polite, helpful staff. They offer, amongst other things, cakes from Cake, homemade pitas, and good coffee. On the corner of Omirou & Akadimias is a fairly new café that I’ve passed by several times, called Zoe’s. I’ve never seen anyone smoking in there, I hope to try it out soon. So true! I’ve quit smoking for 2 straight years but the recent Greek holiday brought back the bad habit to me. Why? Every single person I meet there is smoking. LOL. Thanks so much for this great list. I love the cafe culture in Greece but you are right that it is hard to find smoke free places. I had no idea there were this many in Athens! Thank you, Eleanna! I love Petit Fleur. I think it just good to have those smoke-free choices. When I first moved here 7 years ago there weren’t any! Thanks for a great article. Sorry to see all these very unpleasant and aggressive smokers attacking a perfectly pleasant (and useful) article. Hi Ana, Thanks for stopping by! Appreciate the comments. I am really glad you found it useful. 😉 That’s my purpose in writing it so made my day. All the best. Interesting post. You are right, there weren’t any smoke free cafes not to long ago. I am surprised there are a few now. I smoke but I understand everyone needs choices. Hello Steve. Thanks for stopping by. Yes, there weren’t any then. I can write this blog post now… so that shows progress. A good thing for those who would rather sit and enjoy their time in a non-smoking atmosphere. Thanks so much, Marissa! 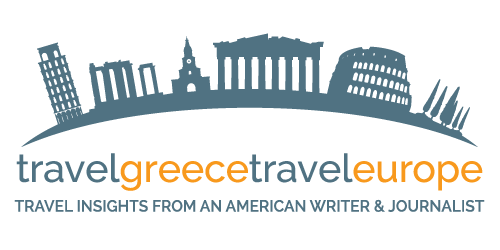 I only learned how much smoking is in Greece after I planned my trip, so I’m a bit terrified. I have really strong reactions to cigarette smoke and really can’t tolerate it even outdoors. Part of me is wondering if I should’ve waited a few years when smoking could be less common… I’m adding places from your list to my itinerary right now. Hi Kristin, I also want to add, in public spaces that you’ll explore as a tourist like the metro, buses, shopping places, fine restaurants, museums and galleries — smoking isn’t accepted. 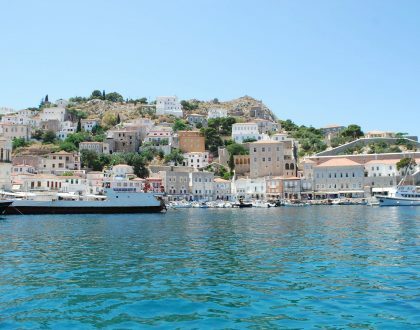 Greeks like to smoke here with their coffee or drinks mostly and traditional food. So, you won’t be walking in a cloud of cigarette smoke everywhere! Like I said, enclosed spaces for socializing among friends really. Those are the places where the laws aren’t followed. Another tip, some old school cab drivers smoke in taxis (I know!) I recommend you download TaxiBeat app on your phone. The taxi drivers do not smoke, so you enter a perfectly lovely cab to get where you want to go. That’s interesting to note. I didn’t think indoor smoking was still an issue in Europe. I’d like to add… Good to see there are options for non smokers at least! I used to smoke. Not any more. I don’t see why not smoking outside is still in issue. It’s not that hard to get up and go outside! Fresh air is good and you don’t bother/harm anyone in the process. It’s manners and consideration. Hi Jun, THanks for your comments. Yes, for some people it is an issue and for others – like yourself – it is not. I think a change in mentality comes with time.